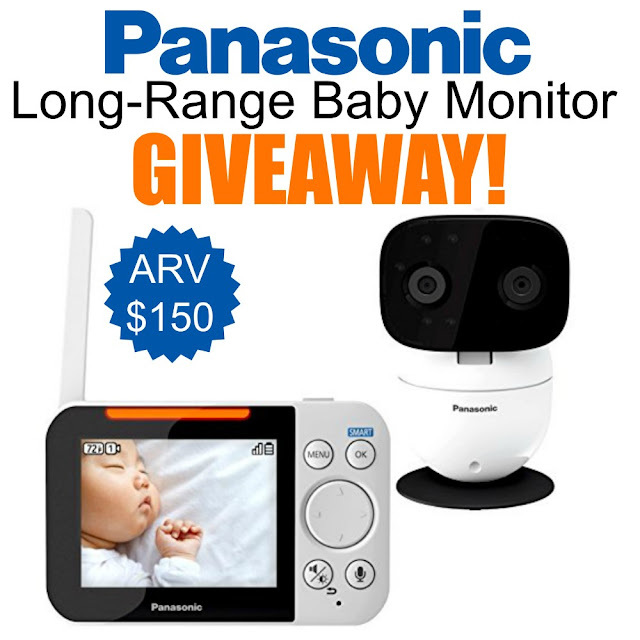 Enter to Win the Panasonic Long-Range Baby Monitor Giveaway! Are you in the market for a new video baby monitor? Today over at Thrifty Nifty Mommy, Janessa is sharing her full Panasonic Long-Range Baby Monitor review. Make sure you head over and read her full review to see if it's the right monitor for you! I've teamed up with Janessa and a few other bloggers to bring you a giveaway today for your own Panasonic Long-Range Baby Monitor! If you'd like a chance to win this great monitor, enter using the Giveaway Tools entry form below. Good luck!